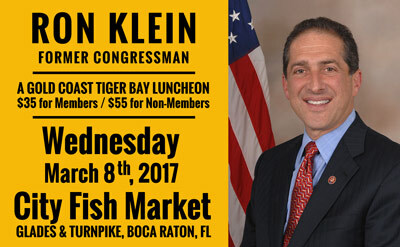 In 2006, Mr. Klein was elected as Congressman to represent Florida’s 22nd Congressional District (Broward and Palm Beach Counties), wherein he served two terms continuing his focus on business development, healthcare and energy issues. He served on the full Financial Services Committee,with membership in the subcommittees of Capital Markets, Insurance and Government Sponsored entities (Fannie,Freddie); Financial Institutions and Consumer Credit; and Oversight and Investigations. He also served on the full Foreign Affairs Committee and subcommittees on the Middle East and South Asia (Vice Chairman); Terrorism, Nonproliferation and Trade: and Western Hemisphere. He was an active participant in the drafting, development and negotiation of the Dodd-Frank Wall Street Reform and Consumer Protection Act and the Comprehensive Iran Sanctions Accountability and Divestment Act of 2010, including continued oversight and follow up with staff and agencies. He also co-chaired the New Democrat Coalition Energy Task Force which, with a broad coalition of industry, environmental, and consumer groups, led the effort to pass energy policy based on robust investment in research and development, the development of energy efficient products and services and the use of incentives to encourage market certainty. Mr. Klein has a long involvement with various aspects of organizational, political and business support for the State of Israel. As a member of the Florida Senate, he helped set up the Enterprise Florida office in Israel which advocates trade and investment between businesses in Florida and Israel. In Congress, as the Vice Chair of the Mideast Subcommittee of Foreign Affairs, he had numerous meetings with government and business leaders in Israel. These relationships are continuing and are being furthered in helping clients find investment opportunities in Israel, as well as reverse investment opportunities for Israeli businesses in Florida and the Western hemisphere. Mr. Klein’s practice at Holland & Knight includes advising clients in how to anticipate, consider, analyze and navigate rules, regulations and compliance in the financial services, healthcare and energy sectors. He will also work in the areas of international business and trade. Mr. Klein maintains offices in Fort Lauderdale, West Palm Beach, Miami and Washington, D.C.
« Ron Klein (D) vs. Sid Dinerstein (R) : An Unusual President … What to Expect?